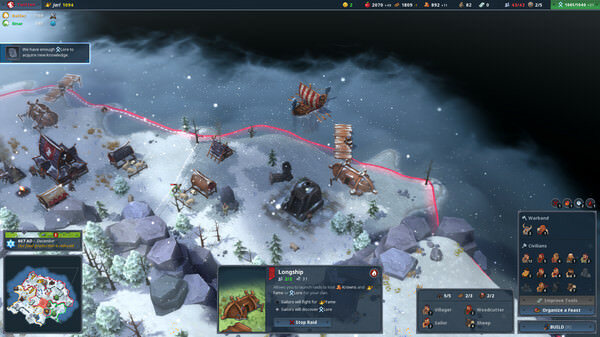 Build your settlement on the open Viking continent - Nordgard. Train your Vikings in various crafts so that they become peasants, warriors, sailors and wise men. 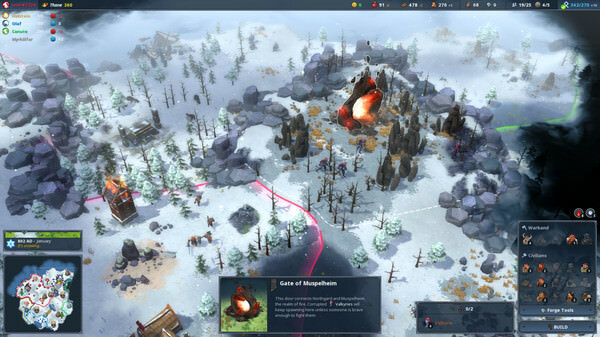 Dispose of resources wisely and try to survive the harsh winters and enemy attacks. 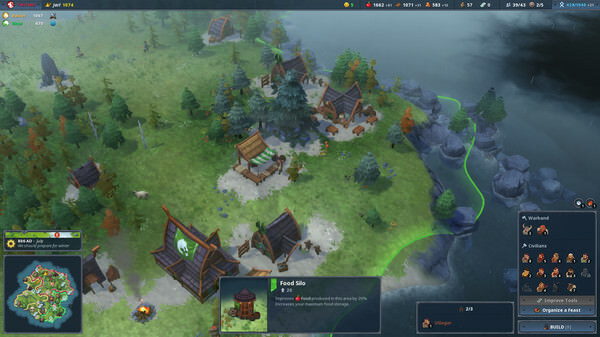 Expand your territory and open up new lands using unique strategic opportunities. Achieve victory by entering the path of conquest, fame, wisdom or trade. Compete with your friends or with AI on cards with different levels of difficulty and their own features. 2. 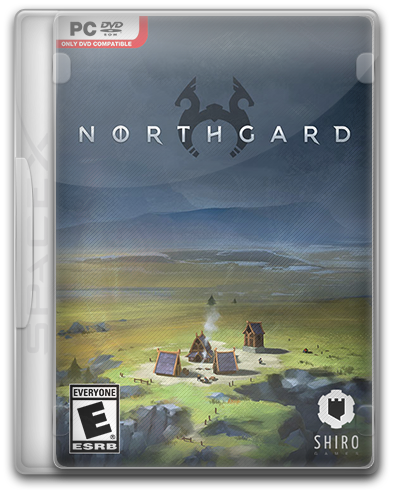 Install the contents of the Update folder from the Northgard.Ragnarok.Update.v1.4.10836-PLAZA directory into the game folder. 3. Copy the contents of the folder PLAZA in the folder with the game, agree to replace the files ..